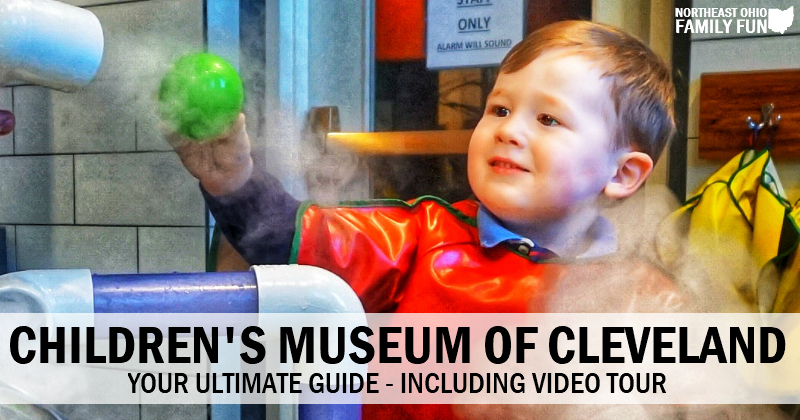 Your Guide to the Cleveland Children's Museum - Including Video Tour! The Children’s Museum of Cleveland has recently moved and gotten a fresh look! 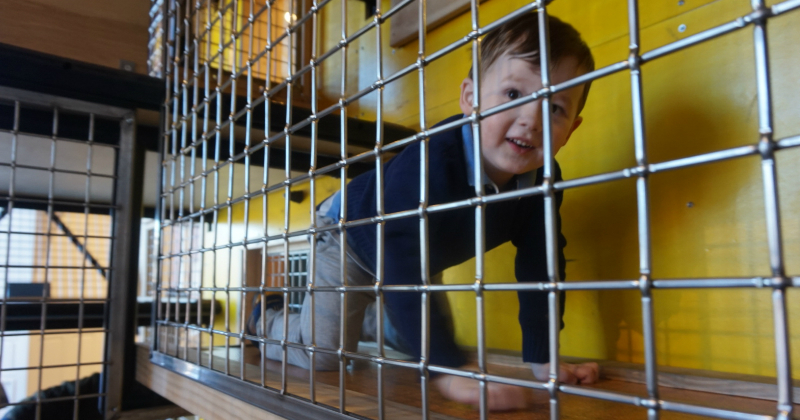 The new location showcases beautiful renovations and a literal play land for children. 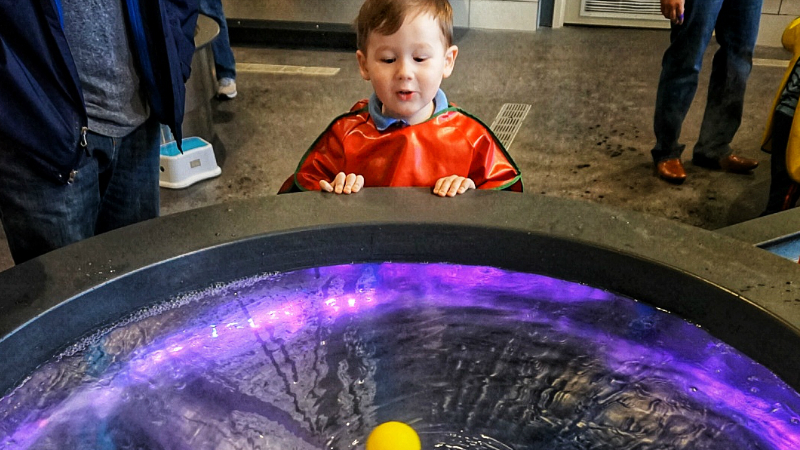 The layout of the Cleveland children's museum is smartly sectioned off into different areas for play and every corner of the historic building is utilized with learning, creativity and fun in mind. 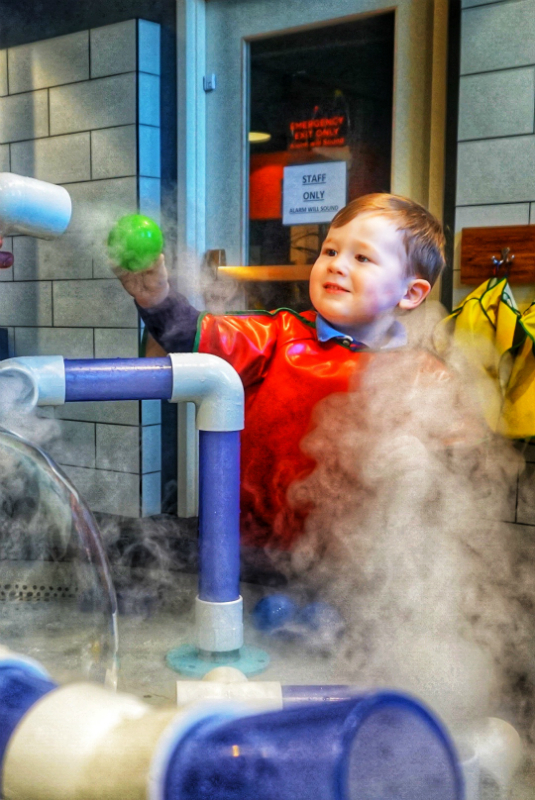 A trip to the Children’s Museum of Cleveland is jam-packed with fun. It is truly a place that allows your child’s imagination to run wild. Each room is an exploration into its own little adventure! Adventure City – This oversized treehouse keeps kids engaged through nooks and crannies at every corner. Children can climb up levels much like an indoor play place. 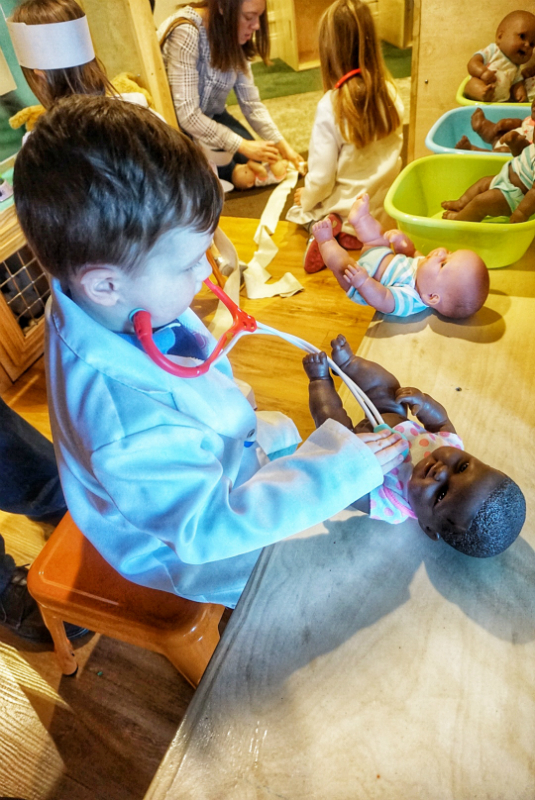 They can also stop and become a construction worker with a locks and keys display, a mechanic with cars to repair, a grocer in the fully equipped market or a doctor in the pet and baby medical office. Off of this section is a reading nook with large windows, a variety of books and a cute sitting area. 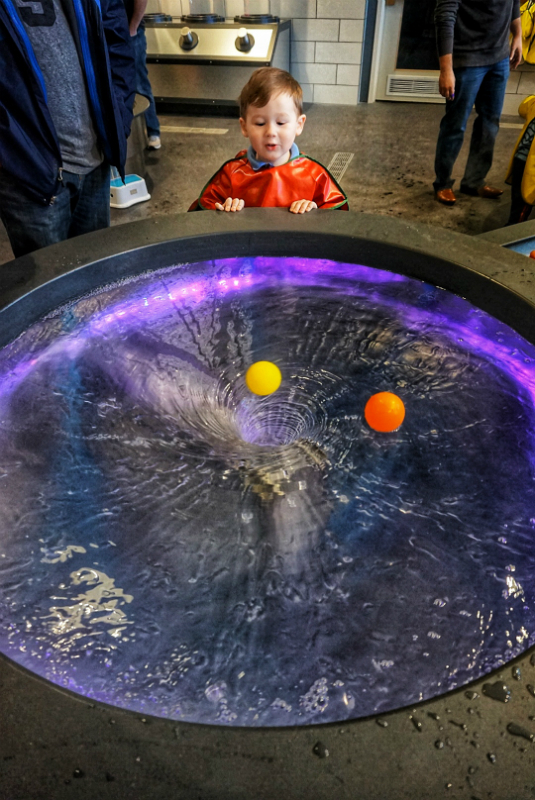 The Wonder Lab – This section is probably a favorite of many children, boasting a room of water and imagination stations. 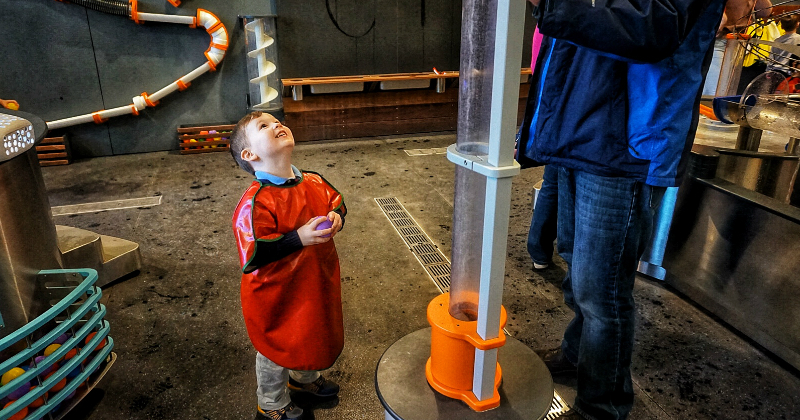 Referred to as an “industrial science laboratory” kids are invited to put on lab coats and experiment with the water. 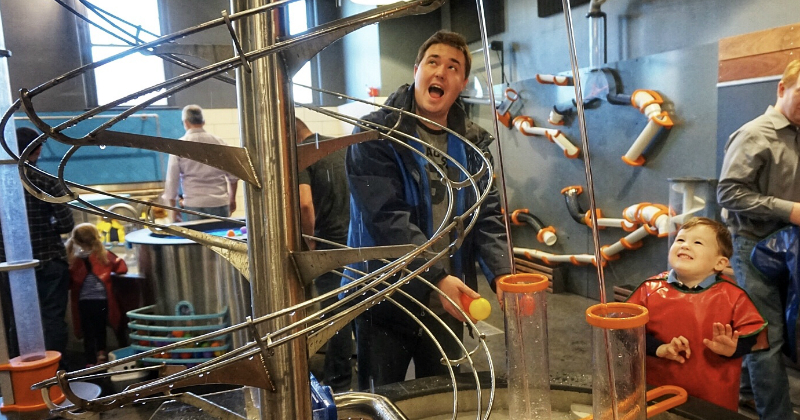 Balls, scarves, bubbles and steam are just a few items that interact with whirlpools, streams, tracks and tubes! Arts & Parts – The museum also boasts a large art room! Activities are set up on the long, child-friendly tables, where kids can sit in a community-style format while they create art together. Shirts are provided as aprons for the kids and all supplies are available and set out for your use. Once your art is complete you can take home your final creation. Making Miniatures – This area of the museum is dedicated to a collection of dollhouses. 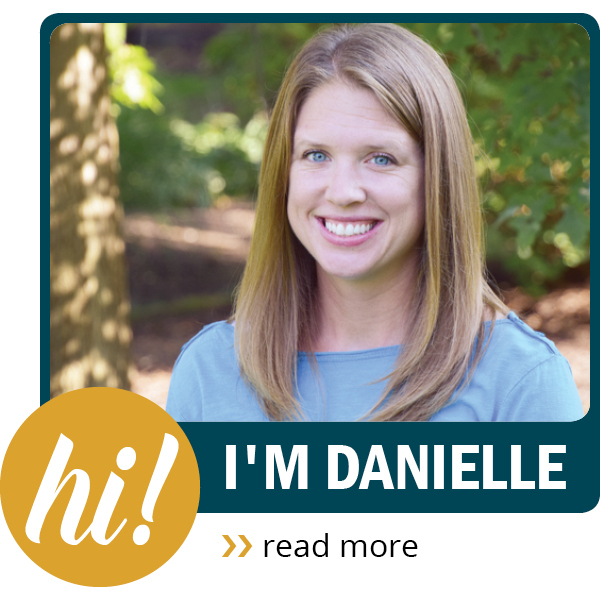 Kids can learn about how dollhouses are made as they view the tiny creations. Adult tours will be available in 2018 as well. 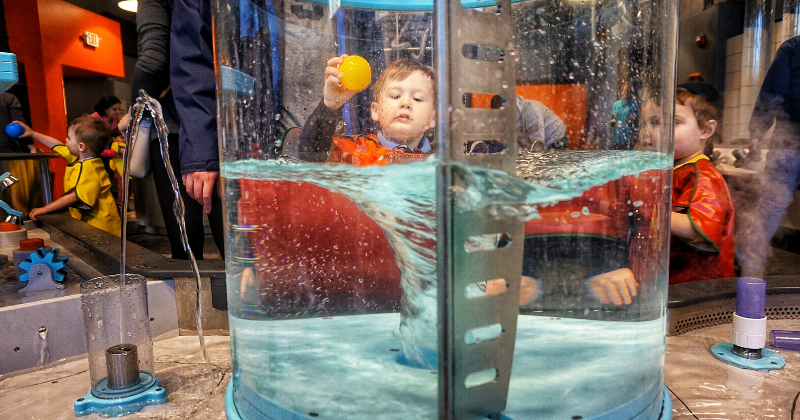 Families with an active military ID receive $2 off admission per immediate family member. 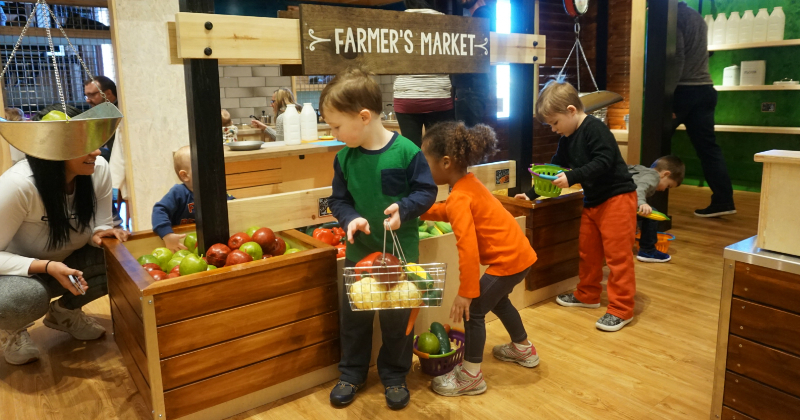 As part of the “Museum for All” program, families who show their Ohio EBT card receive a discounted admission rate of $2 per person for up to 4 people in the same household. Take a look at the website for details regarding cost and membership. We got a yearly membership. We are looking forward to visiting several times throughout the year, especially during the long winter and hot summer. Wear comfortable play clothes and shoes. This applies to parents too as you will be walking back and forth a good bit. Dressing in layers is also recommended so you can remove layers of clothing if your child get warm from all the running, climbing and playing. Convenient parking is available in the museum's onsite fenced in parking lot. 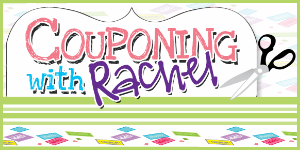 Parking is free for members and it is only $5 for all day parking for non-members. Parking is first come first served. There are eating areas at the museum and you are allowed to bring your own food and drinks. There are also vending machines for snacks and beverages. Bathrooms are located throughout the building and there is also a gift shop. The Museum is handicap accessible (ADA accessible). In addition they have partnered with the Monarch Center for Autism’s Welcoming Spaces Program to provide sensory friendly rooms and autism resources.